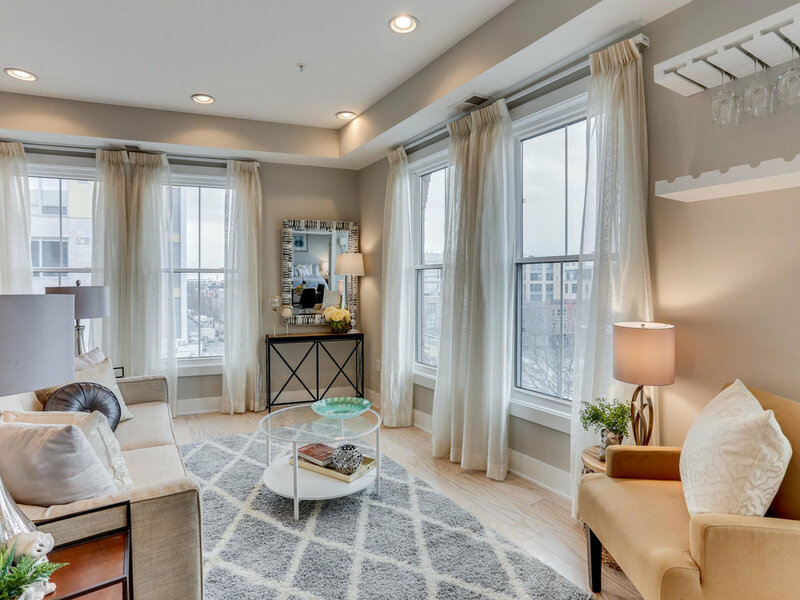 2-bedroom, 2-bath PENTHOUSE unit with PRIVATE roofdeck and a 97-pt walk score! Elevator in building. Corner penthouse unit with floor-to-ceiling windows = lots of light. Kitchen includes Stainless Steel appliances, ample cabinetry and breakfast bar. 2 full bathrooms. Large master bedroom has large walk-in closet with Elfa shelving system. Wide plank oak floors. Washer and Dyer in unit. Low condo fee. Steps to dining, shopping & metro.